Our customers are often pleasantly surprised. 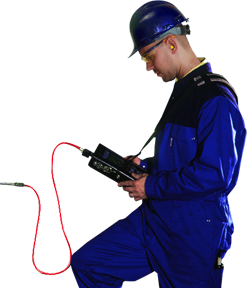 Not only due to our service and quick reaction, but also our unmatched accuracy and speed for balancing. 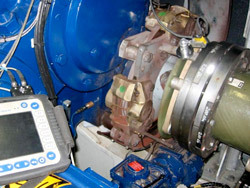 Van Geffen VMS proves daily to be quick and problem solving for a large variety of balance and vibration problems. Field balancing belongs to our daily activities that we perform on-site at our customers. Dirt, wear, crashes, construction changes and even overhauls can all have a negative effect on balance of a machine. Removing the rotor and balancing it on a balancing machine is an option. However, balancing the rotor on-site in the machine itself is, in many cases, the better option. The benefits of on-site balancing are the short downtime and the exclusion of the costs and risks of removing, transport and the remounting of the rotor. Balancing, as well on-site as in our workshop, is one of the spearheads of our company. We balance many rotating parts on a daily basis. More than 20 years of experience, the high number and the diversity of jobs guarantee a quick and accurate result. We always offer a customized solution.